Should you really read to your baby? Can teaching a baby sign language boost IQ? Should you pipe classical music into the nursery? 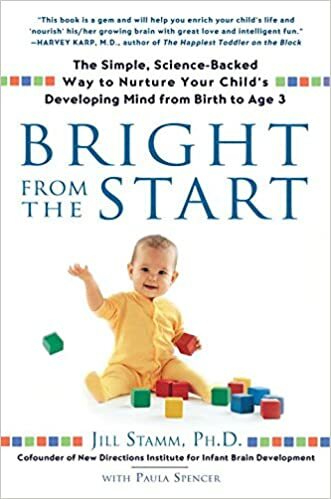 Dr. Stamm translates the latest neuroscience findings into clear explanations and practical suggestions, demonstrating the importance of the simple ways you interact with your child every day. It isn’t the right “edu-tainment” that nurtures an infant’s brain. It is as simple as Attention, Bonding, and Communication, and it’s within every parent’s ability to provide. Practical games and tips for each developmental age group will show you not only what the latest findings are but, more importantly, tell you what to do with them.